Well they finally won. It was a close game, the French came to play, and play they did. The All-Blacks scraped through on an error on a line-out, the French missing an assignment or something went badly wrong, allowing the All-Blacks to just about walk in for the try. The French had a chance to win with a long range penalty, but it was just a bit too far out. After that chance was missed, they came close with some pressure, but couldn’t quite convert. Probably, after all is said and done, the best team won the cup. Although I’m not a fan of the AB’s they for this tournament were consistently the better team. Their best game was against Australia, where, it has to be said played one of the best, most dominant games for quite some time. All over for another four years. The final is tonight. The bookmakers have the All-Blacks as overwhelming favourites. I am of the same opinion, but, hoping for a French victory. That’s how bad it is. Cheering for the bloody ‘frogs’. Wales lost to the French. Yes, they should have won, they were the better team, but, they didn’t. They had three chances to win the game and didn’t capitalise on them, and that was all she wrote. Tonight the hated All-Blacks play the Wallabies. Now I’m no fan of Australia. It’s simply a matter of who I detest least, hence the Wallabies get the call. Well England exited the World Cup last night to France. The French played well, after under-performing for the tournament [so far] and England didn’t play well. The result was never really in doubt with the French leading all the way. That leaves Wales as the last man standing [for me] in this WC. As long as the bloody All-Blacks don’t win. Well the French didn’t really get a look-in. The All-Blacks, curse them, played some pretty good rugby and dominated. Bastards. The French vs The All-Blacks is tonight. I’m rooting for the French to pull off another one of their upset victories over the far too cocky and arrogant All-Blacks. I don’t know too much about the French team, but really that seems to be irrelevant anyway, if they get the wind in their sails, they become a different team and who is in it makes little to no difference. If they do manage a victory, the mood here in NZ will become morgue like. The All-Blacks are supposed to win every game, and not just win, but dominate in all aspects and phases of the game. Not really a realistic outlook in todays game, so I’m hoping they are in for another rude awakening. The rugby world cup kicks off tomorrow here in NZ. Kiwi’s are very confident that the All-Blacks are going to finally deliver. I sincerely hope not. I can’t stand the All-Blacks. Anyway I think all the teams are in the country now. Every now and then England get it right. 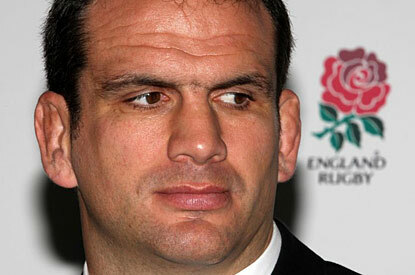 Martin Johnson is the right man to lead England to a victory if anyone can. Australia are looking real dangerous again under Robbie Deans, who is a Kiwi and was overlooked by NZ when they reappointed the coach that lost in France, I can’t even remember the fucker’s name. No matter, if Australia win under Deans, there will be a revolution here. If England or Scotland can’t win it, then Australia is the default team. Realistically I don’t think Scotland has much hope, but we’ll be shouting for them anyway. Kristin, being Norwegian, is a rabid Scotland fan, for historical reasons.